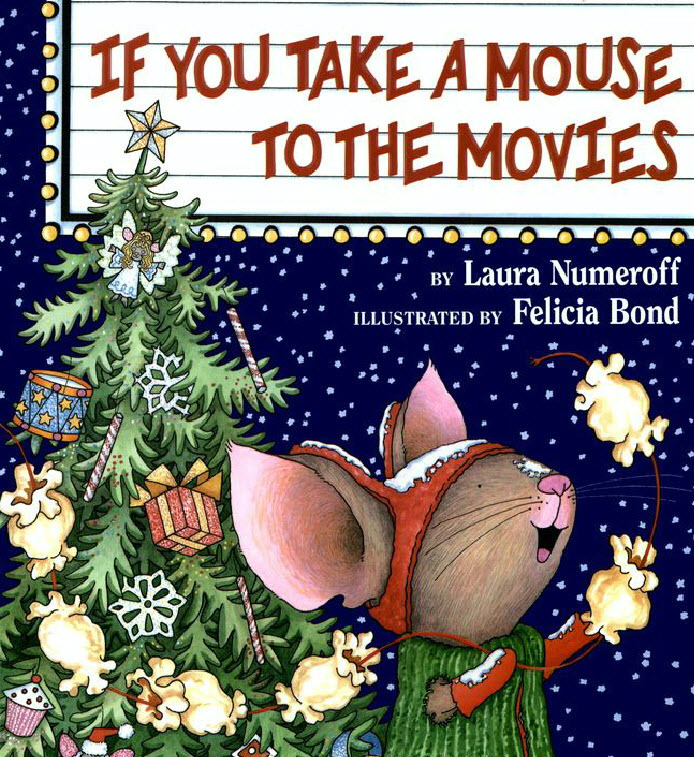 My last post, Taking the Mouse to the Movies, had a variety of speech and language activities to use with the holiday book If You Take a Mouse to the Movies by Laura Numeroff. Here are just a few more. At Speaking of Speech.com, Donna Williams submitted a companion activity, IF YOU TAKE A MOUSE TO THE MOVIES Activity, to elicit the pronoun he. I used it with a few of my students and decided that it would make a great why question activity. I created the mini-book, pictured below, that can be found at BoardmakerShare.com. During therapy sessions, we read and discussed the book and students were given the opportunity to independently read one of the printed books. I was always happy to hear non-readers asking and answering the questions (data!). This book was also used with students who needed help with sentence structure and the phonemes /s/ and /g/. For those without Boardmaker, you could create a similar activity using the IF YOU TAKE A MOUSE TO THE MOVIES Activity at Speaking of Speech.com. I cannot distribute the below document as a PDF due to Boardmaker's copyright policy. Take pictures of a toy mouse (or maybe The Elf on the Shelf) in various places in your school or community (similar to the above Boardmaker activty) to continue to practice asking and answering why questions. Take pictures of your students (or other boys, girls, men, women) in various places in your school or community to elicit he and she - Why is he in the library?, Why is she at the grocery store?, etc. I always had at least one student that struggled with the pronouns I and you. Take or obtain pictures of that student in various places in their school, home, or community. Present these in a mini-book, flashcard, or digital form. Some students needed simple questions such as Who is on the bus? or Where are you? Others, who could answer more complex questions, were asked those such as Why are you on the bus? or Why are you in the cafeteria? Provide visual supports for appropriate responses as needed.